Are Northfield businesses leveraging bricks with clicks? Northfielder Hans Muessig is a Director with the Minnesota Intelligent Rural Communities program at University of Minnesota Extension. 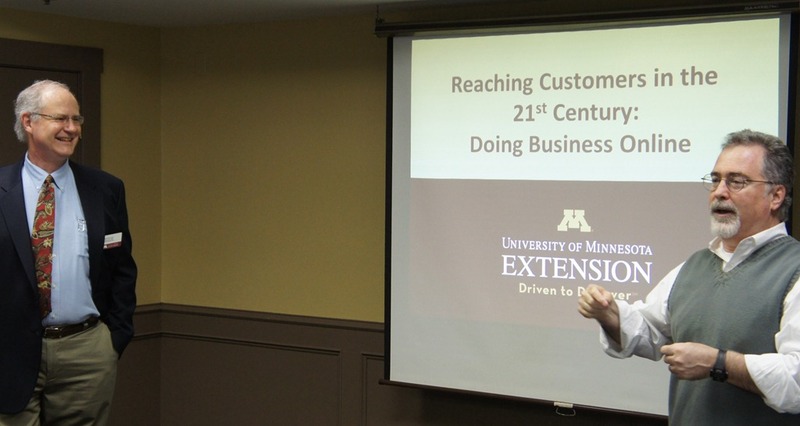 Last week, he was the presenter for Doing business online, the first in a series of three workshops on ‘Reaching Customers in the 21st Century’ that’s sponsored by the NDDC, the EDA, the NEC, and the Northfield Area Chamber of Commerce.